Designer Sebastiaan Menno Geert Straatsma was born in Dokkum, the Netherlands, in 1972. 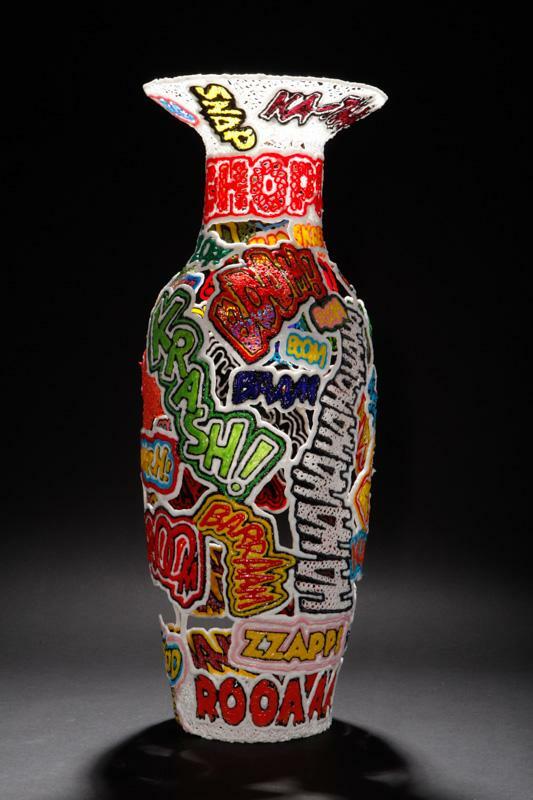 Between 1993 and 1999, he studied at the Design Academy Eindhoven, ultimately earning his Bachelor’s degree in design. His studies included a semester-long exchange program at the Escola de Designo in Barcelona in 1998. In 2000, Straatsma moved to Rotterdam and established his eponymous studio. Though he continues to live in Rotterdam, Straatsma moved his studio to nearby Schiedam in 2003. 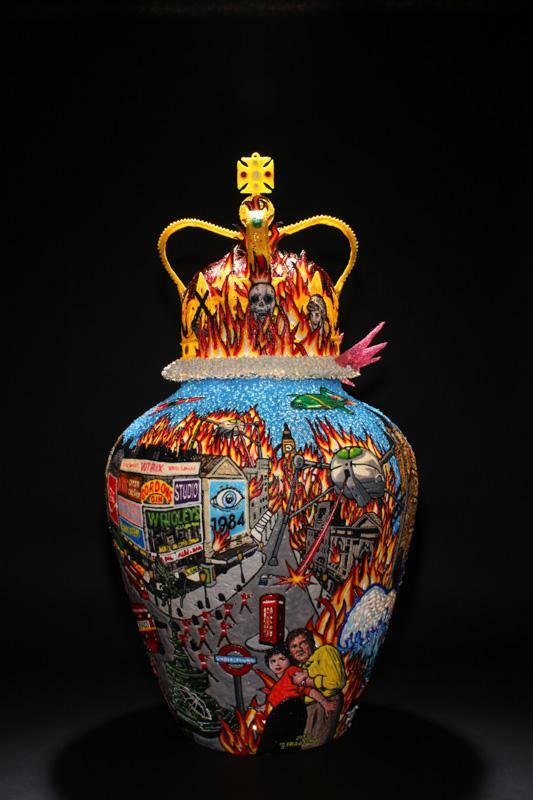 The designer specializes in handmade vases; to date, he has created nearly 150 in an ongoing series called Dustcollectors. 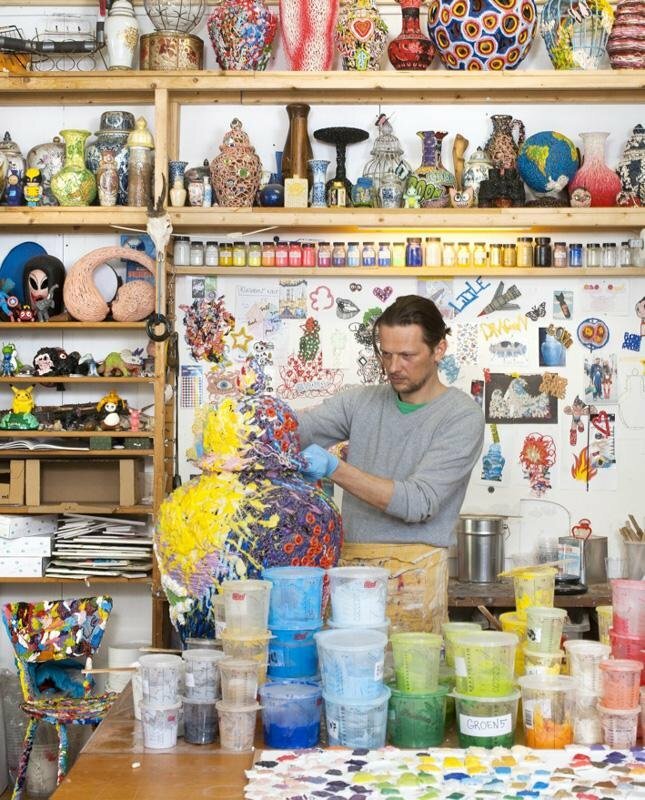 Using a syringe, Straatsma covers his vase molds in highly decorative, intricate, multicolored “skins” made of his own secret formula of epoxy resin. Once the mold is removed, the shell or epoxy stands on its own. 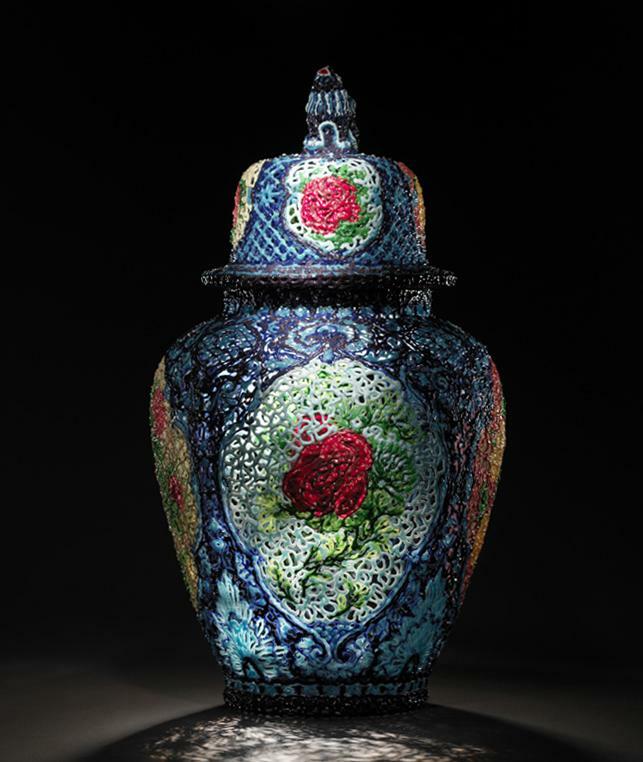 Some vases are full of symbolic references; others are more intuitively driven. In addition to his own design work, Straatsma has taught and directed workshops at the Willem de Kooning Academy in Rotterdam, the Constantijn Huygens Academy in Kampen, and the Minerva Academy in Groningen. His work is included in, among others, the collections of the Museum Boijmans Van Beuningen, the Stedelijk Museum, and the Gemeentemuseum Den Haag (all in the Netherlands).